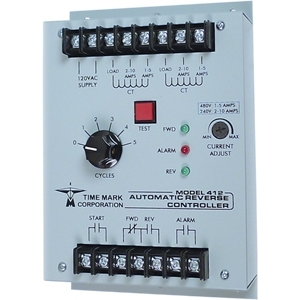 The Model 410 Auto-Charged Capacitor Trip Device is a high-speed capacitor-type circuit breaker tripping unit. It differs from the conventional capacitor trip device in that it has a self-contained standby power source, which is capable of maintaining full operating voltage for several days. This device is primarily for use with circuit breakers which require some form of AC power for their closing operation: i. e. , circuit breakers having either a stored energy closing mechanism with an AC-operated release coil, or an AC solenoid-operated closing mechanism. There are no field adjustments required. The Model 410 has a cover-actuated safety switch, which discharges the capacitor and disconnects the primary source when the cover is removed. 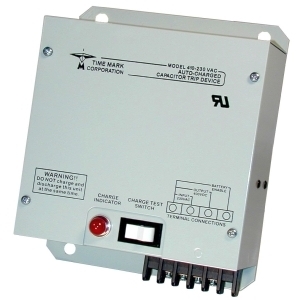 The Model 410 can be tripped manually, or by means of a voltage-sensing or phase loss monitor. Versions are available for 120 VAC or 240 VAC operations. 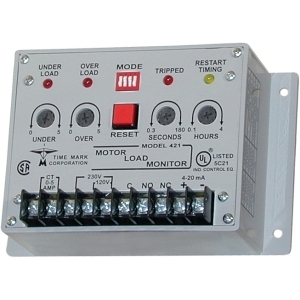 The 412 Automatic Reverse Controller is a current sensor designed to detect jamming of sewage grinders and to initiate the reversing of the grinder. The controller allows the selection of up to five forward/reverse cycles, and provides for an alarm output, if the number of cycles is exceeded. 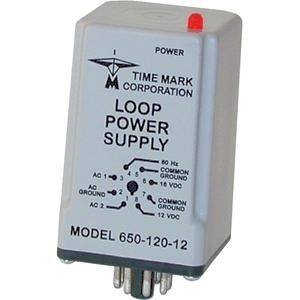 The current loop inputs are designed for direct connection of 10 amps at 240 VAC, or 5 amps at 480 VAC (up to 2hp motors). For higher currents, a current transformer must be used (the CT secondaries are connected to the 5 amp terminals, regardless of voltage). A manual push-button is used to simulate an over current condition and to test the relay contacts and alarm. A current level adjustment is used to optimize the trip point setting. LED indicators show the running direction of the motor and the alarm condition. 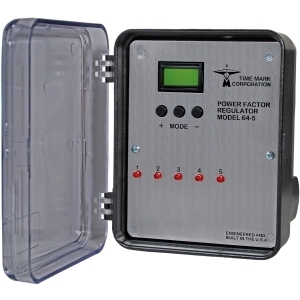 The Model 64-5 Power Factor Regulator is a monitoring and power factor control system. It is designed to help obtain an improved power factor, with a minimum of added capacitors. This device uses a unique phase-angle sensing circuit to monitor the power factor of a 3-phase power line. The Model 64-5 automatically responds to changing power factor by closing or opening the internal relays, which add or subtract capacitor banks on the line. 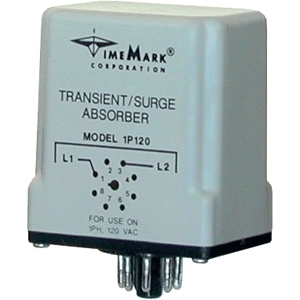 Although intended for 115VAC 60Hz systems, other voltage or frequency models may be available.